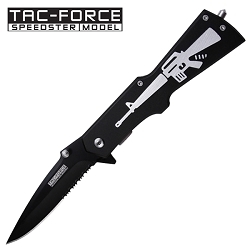 Fast Action Spring Assisted Knife. 8" All black Joker Style Folding Knife. Surgical Steel, Half serrated blade. 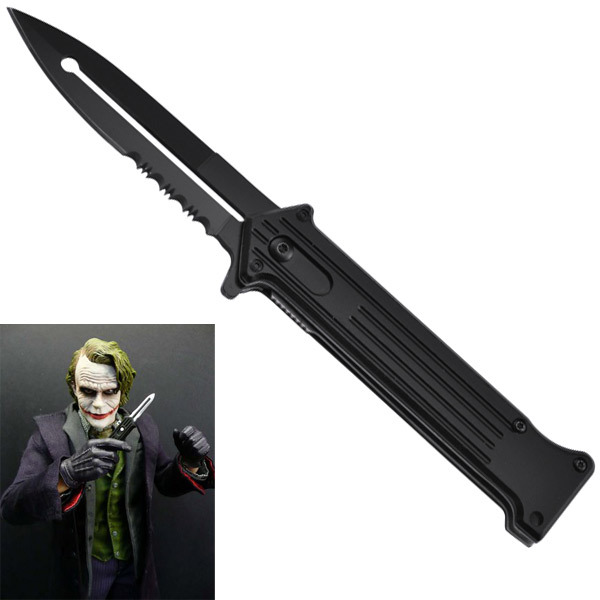 Joker Style knife. Action Assisted. Does NOT say joker on the blade. 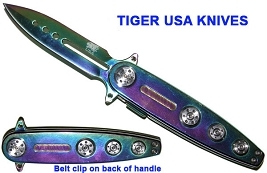 I have always wanted a knife just like this, so when I found it I was so excited. When I finally got it, it was amazing. 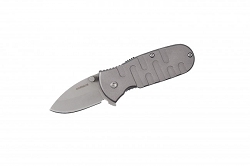 It pops up great and is really easy to close, unlike other spring assisted knifes. Over all it's great to have, really easy to use and looks awesome.